. . . well it separates anyway. 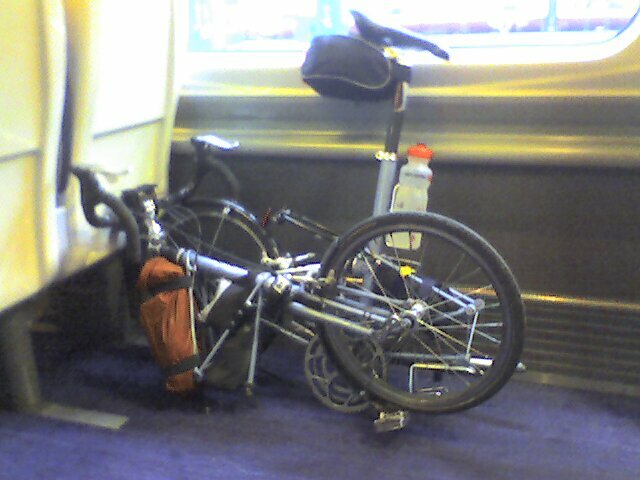 I’m not sure if I’d have got on the Glasgow to Rugby train with a traditional bike. Again, I was asked for my bike reservation (which I was unable to book in advance) and there was space for bikes on the train. This entry was posted on September 8, 2007 at 4:32 pm and is filed under 00: Homepage, 04: Diary: The Ride Live!. You can follow any responses to this entry through the RSS 2.0 feed. You can skip to the end and leave a response. Pinging is currently not allowed.